The Citronic CLS01 is a portable laptop stand ideal for gigging DJs. It is perfect for supporting your DJ equipment like your laptop, USB controller, mixer etc. 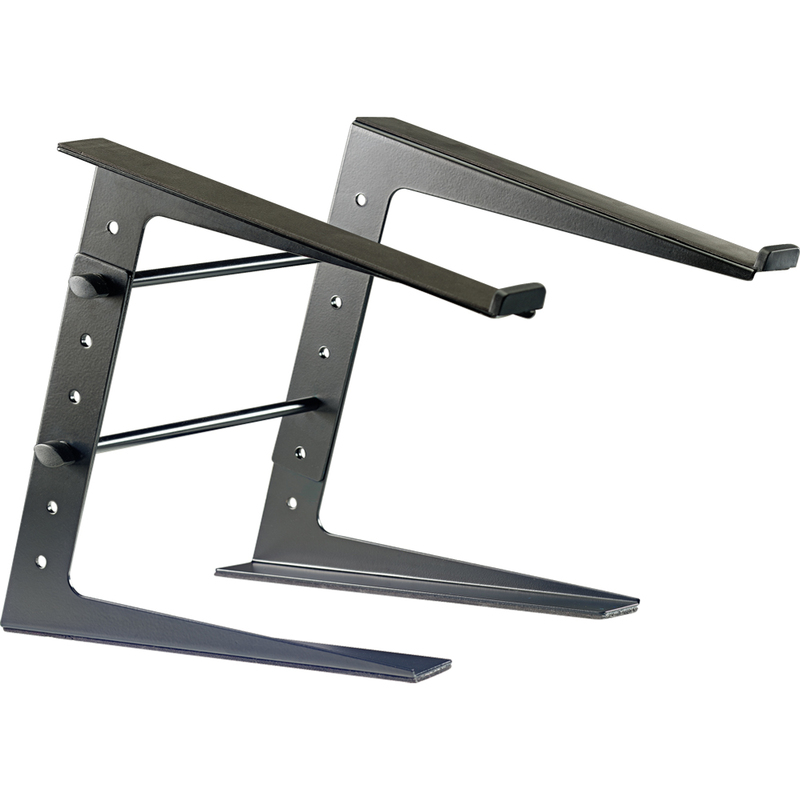 It is constructed from solid steel with a scratch resistant powder coating and features no-slip support arms. It is height adjustable and can be set in 5 different positions, each 3cm apart. At the lowest setting the height is 23cm, at the maximum setting it is 35cm.